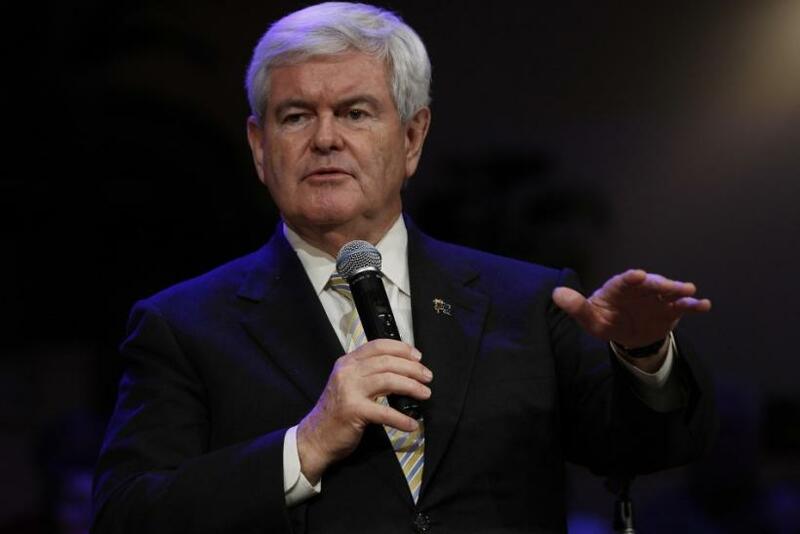 Newt Gingrich's communications director Joe DeSantis has been criticized as recently as last week for dozens of edits he made on Gingrich's Wikipedia page that were allegedly done to present a more favorable view of the Republican presidential hopeful. According to Wikipedia records, DeSantis has made or requested more than 60 alterations to Wikipedia's biographical entry on Gingrich, asking for changes on some of the more controversial aspects of his political history -- such as mentions of his three marriages and details on ethics charges brought against him during his stint as speaker of the House in the 1990s. Records also show DeSantis made edits to a page about Gingrich's wife, Callista, and on a separate page on a book penned by the couple called Rediscovering God in America. DeSantis, who identified himself as a Gingrich campaign aide, has requested changes to the candidate's page through a feature on the site called Talk since May 2011, the most recent request which occurred in December. But he has not made a direct edit to the online, crowd-sourced encyclopedia since last May. Did Changes Violate Wikipedia Conflict of Interest? Still, DeSantis has drawn the criticism of some Wikipedia editors who say even Talk requests violate the vast encyclopedia's conflict of interest rules. I'll raise the question in the appropriate place, but I have to say this micro-managing by a Gingrich campaign director is a matter of concern to me even though you now are identifying yourself. Pointing out factual errors is one thing, but your input should not go beyond that, even here on Talk, an editor known as Tvoz wrote last Friday. The editors went on to deny edit requests that would have removed a line stating -- accurately -- that Gingrich began his relationship with Callista while he was still married to his second wife, Marianne, and simultaneously conducting an impeachment investigation on President Bill Clinton stemming from his infidelities. The fact that Callista is Speaker Gingrich's third wife is well-known and indisputable. Please do not remove it from her biography, another editor wrote, referring to changes that were made on Callista Gingrich's biographical page. Meanwhile, CNN reports DeSantis edited lines that referenced Gingrich's reported $500,000 credit line at the luxury retailer Tiffany's, and another entry that referenced a now infamous story about how Gingrich allegedly approached his first wife about a divorce while she was in the hospital recovering from cancer surgery. Wikipedia's conflict of interest guidelines specifically state those rules are violated in cases where advancing outside interests is more important to an editor than advancing the aims of Wikipedia. DeSantis defended his changes in a statement, insisting he stopped making direct edits to the Gingrich entries when he was alerted to the conflict of interest guidelines. Earlier I thought that simply disclosing my affiliation was enough but it wasn't. So I started posting requests on the Talk page, he said.